Once you submit your child's registration you will be redirected to Children's Ministry Page. You will receive a confirmation from our office within 2 business days. No, I cannot help at this time. 5th and 6th Graders only. Parent must sign permission form. If your child is in Wee Care, skip to the bottom of the form and submit. There is no cost for Wee Care however, parent must remain on campus. 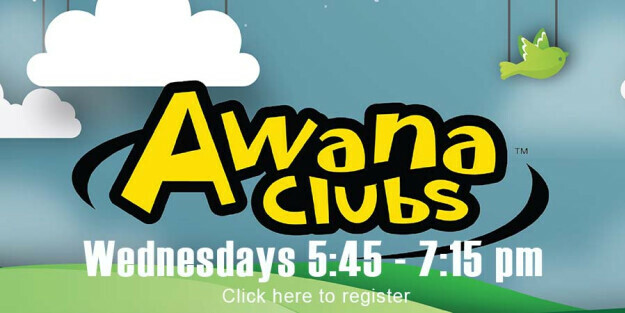 If your child was in AWANA last year what book did he/she work in last? Please select book from drop down menu. Your child's shirt/vest size according to club..